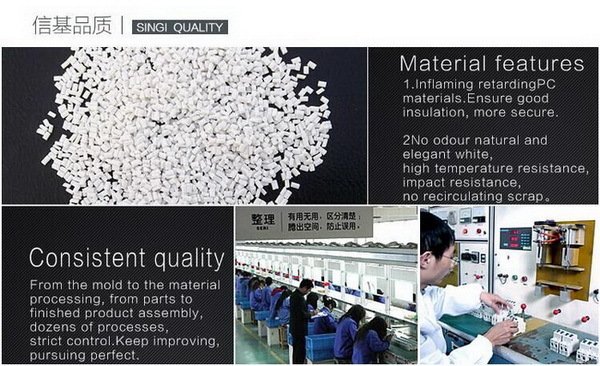 SINGI strengthened portable safety outlet, selecting the fire-resistance project material of high polymer.It has excellent performances of high-temperature resistance,shock resistance and insulation. The touching copper slice select the elastic phosphorus bronze so that the performance of the outlet can be improved. 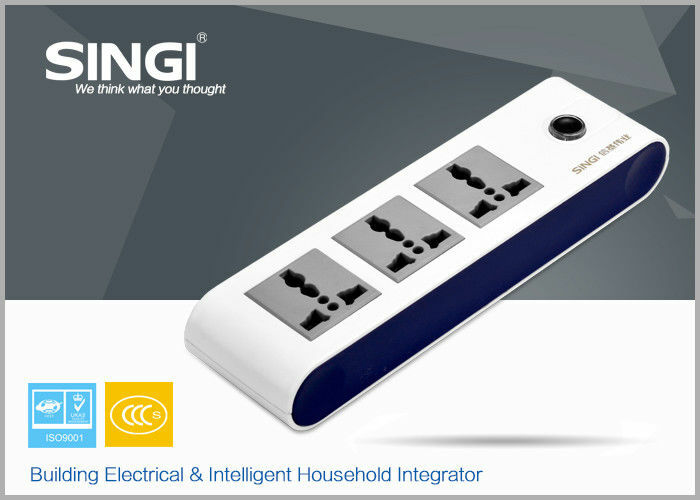 The surface is treated with wearing resistance to improve the times of outlet inserting and pulling. 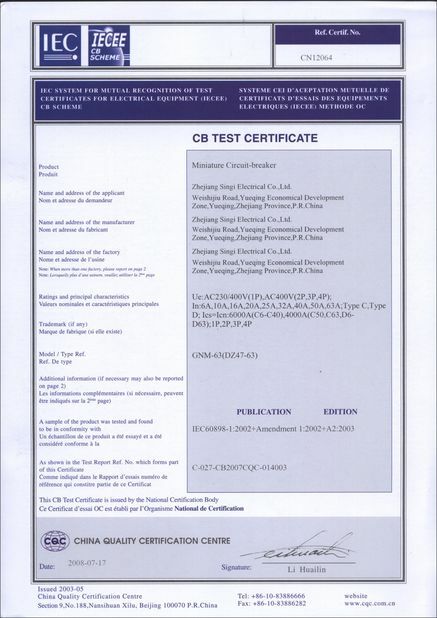 NOTE:This product can only be used at dry place.The load should not exceed the specified technical parameters of the product.Nonprofessional electricians should not dismantle the product by themselves. 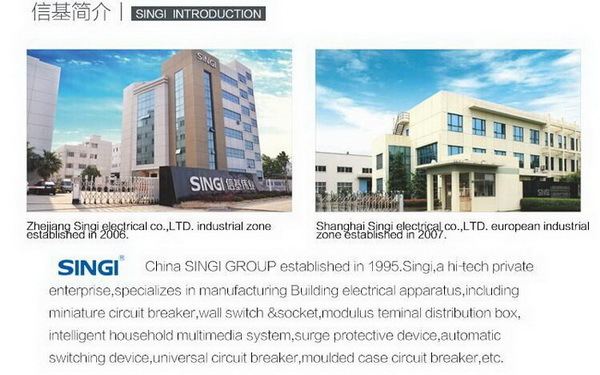 Zhe Jiang Singi Electric LLC. is a professional manufacture. 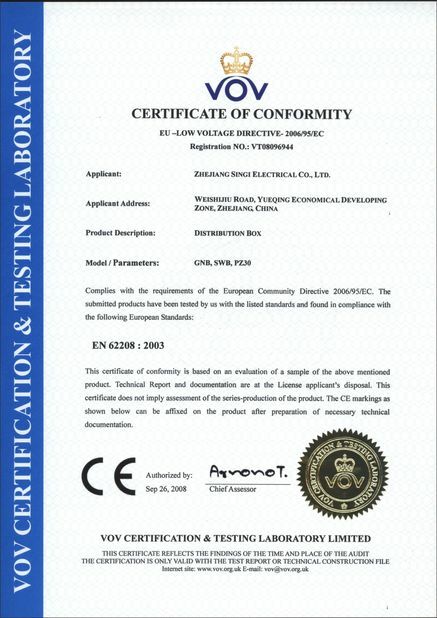 We produce the wall switch,intelligent information boxes,lighting distribution box,miniature circuit breakers,molded case circuit breakers,sockets,surge protector,dual power switching devices,security converter,smart air circuit breaker,american metal junction boxes and other building electrical wiring system products. 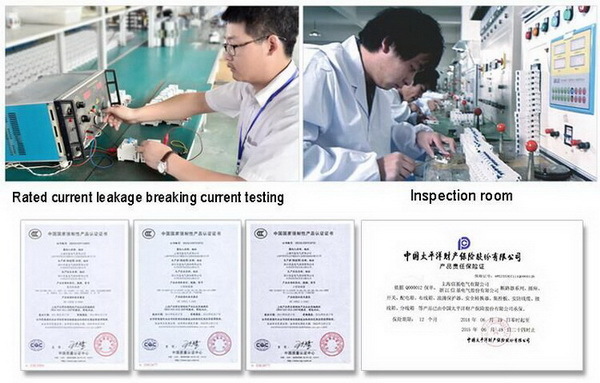 We are a high-tech private joint-stock enterprises.